While in New York for the Games for Change conference (blog reports to come soon), I decided to check out the “Designing for the Other 90%” exhibit at the Cooper-Hewitt National Design Museum. Took a few photos, noted down some thoughts, and decided to … scrapblog it. Ngozi Okonjo-Iweala, Nigeria’s former (and the first woman) Finance Minister, speaks eloquently about the exciting new opportunities emerging in the African continent. 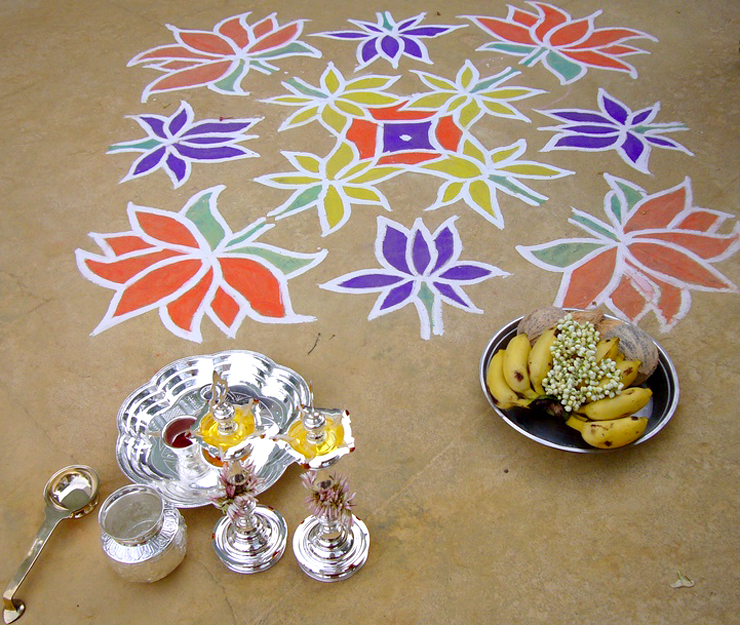 Kolam: Every morning in southern India, millions of women draw kolams on the ground with white rice powder. Through the day, the drawings get walked on, rained out, or blown around in the wind; new ones are made the next day.